You know the old movie quote, “If you build it, they will come”? Yeah, well, on the Internet that’s bull. On the Internet it takes hard work, creative thinking and constant monitoring. Where monitoring comes in, the best service around for the job is still the powerhouse known as Google Analytics. This week I’ll share with you a number of valuable data points you can retrieve from Google Analytics if you know where to look. At first glance, GA can appear to be a vast, complicated mix of charts and numbers, but it really doesn’t have to be that way. Our Google Analytics guide can help with a lot of the advanced reporting, but in this video, I’ll walk you through the top areas that you really should start using right now if you own your own website. You’ll see things like how to import a pre-made dashboard template (no work required on your part! ), where to find visitor traffic, visitor demographics, visitor flow, social trends, search trends and more. You don’t have to run your website in the dark, and you certainly don’t have to install complicated analytic software on your web server or scripted into your site. All you have to do is set up a Google Analytics account, insert a small snipped of script into the header of your website, and then start exploring all of the wonderful information that can be found inside of your brand new Google Analytics account. Note: This video is intended as a sort of “Google Analytics 101” resource for brand new users. If you’re looking for more advanced topics for Google Analytics, you’ll definitely want to check out our articles on things like automated email reports How Google Analytics Alerts Can Email Or Text You About Site Problems How Google Analytics Alerts Can Email Or Text You About Site Problems Google Analytics offers a special alert feature that sends out an email or an SMS alert when any event happens on your site. Setting them up isn't as complicated as you think. 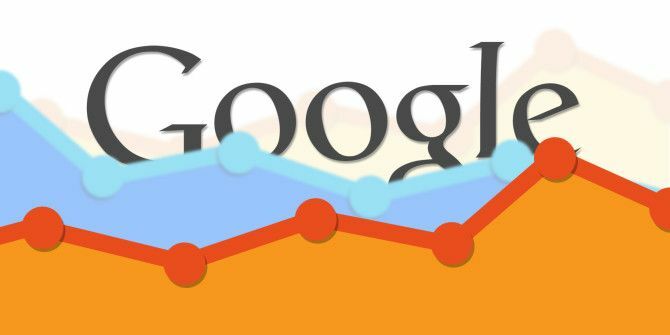 Read More , advanced filtering techniques Become A Google Analytics Filtering Ninja With These Helpful Tips Become A Google Analytics Filtering Ninja With These Helpful Tips Google Analytics remains the single most popular -- and yes, the most powerful -- tool at your disposal to get the whole story about your website. Get creative and dig deep into your traffic data. Read More , and creating custom GA reports Automate Informative Google Analytics Reports With Custom Reporting Automate Informative Google Analytics Reports With Custom Reporting One thing that I've always wanted to get working better with Google Analytics is an automated reporting feature that provides the information that I want and in the format that is easy for whoever needs... Read More . very useful video for newbie's. thank you.